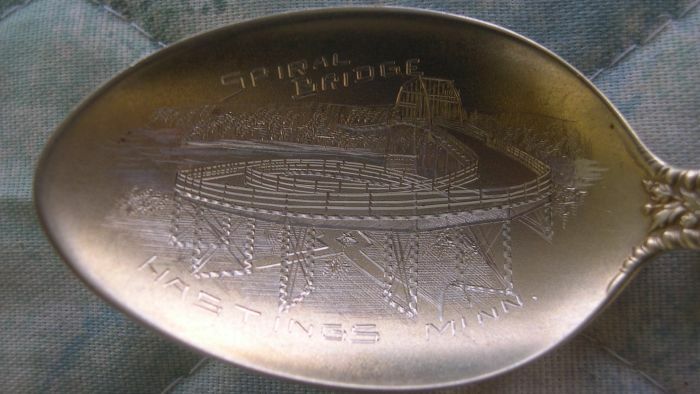 The Hastings, Minnesota spiral bridge built in 1895 has to be one of the most unusual bridges ever built and was unique in the USA. while still ensuring that commercial traffic didn't bypass the main commercial center of town. 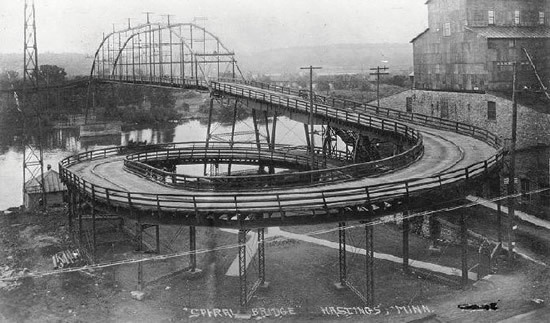 In order to make the bridge level, this unique spiral approach was used at the south end. This bridge served the community for many years, but eventually rust made it unusable. 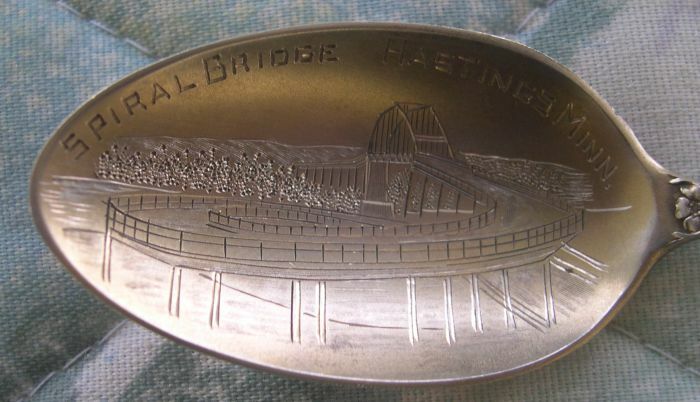 The bridge has now been replaced by the Hastings high bridge where Highway 61 passes over the Mississippi rver.